OH Boy do I love these... Possibly the best thing I have ever made! And of course everything is better with BACON! 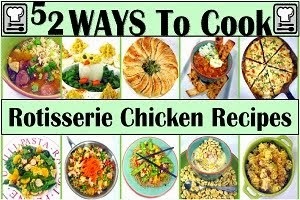 The chicken is an adaptation of a very simply recipe... Coat each piece of chicken with a mix of mayonnaise and Parmesan cheese. 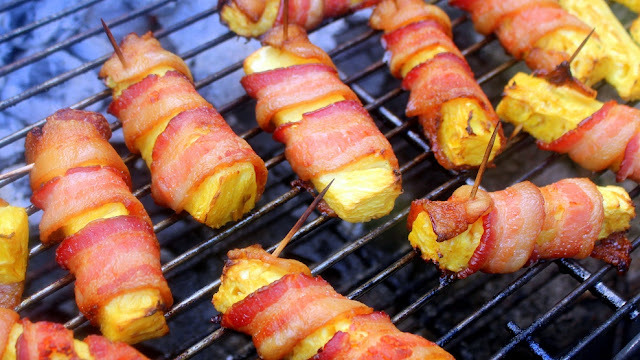 Wrap with bacon, Grill (or Bake, cooks equally well in an oven), add the pineapple and done! I do make these on my grill quite often. 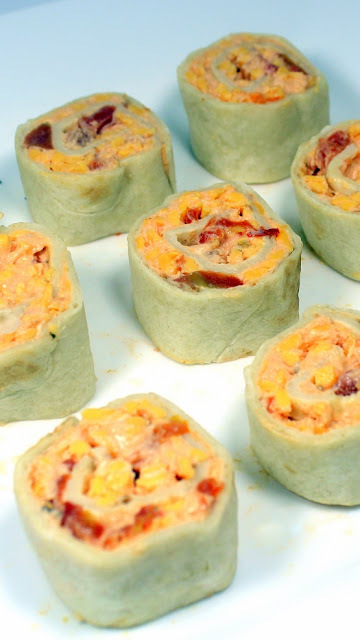 They are wonderful appetizers for a party. Set your grill up as shown in the photo, all the coals set to one side, but the chicken bites on the opposite side. This way the drippings will not fall into the hot coal causing flair ups. This set up turns your grill into an oven. All of the vents open full and the temps will reach 400 degrees plus. Perfect for cooking bacon. And one more tip... If you are serving something that needs to be direct grill (Meat over the HOT coals, as opposed to indirect grilling (the above photo showing the bacon wrapped chicken bites)), These are especially a good choice for an appetizer. When the bites are done, remove them, spread the hot (but cooling by now) coals around to form a single tight layer. Add some extra coals to add more fire power (about 20 briquettes). Wait for 10 minutes for the HOT coals to begin to ignite the new layer... Just about the right amount of time to finish setting up the mini kabobs (add pineapple and plate). Serve these as appetizers while you are grilling the meat (burgers, steaks or the London Broil marinated in Kentucky black BBQ Sauce shown above). 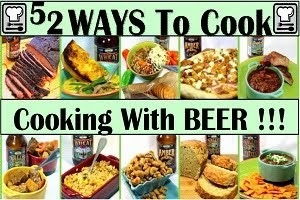 Add a few soda pops (or adult beverages) and the party has started, even while you are still grilling! An efficient use of coals, efficient use of your time and a great way to keep the party going. 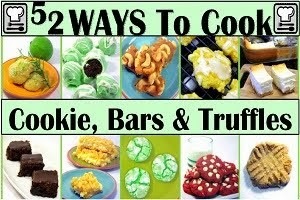 Keep scrolling down for this easy to follow recipe along with additional hints and tips for success! Set up your grill for indirect grilling, high heat. That is, coals lumped together together on 1/3 of the grill, with none on the remaining side. This turns your grill into an oven when the lid is closed with hot air circulating around the Chicken and Bason pieces. This way the bacon drippings do not drip onto the coals, preventing flair ups and burnt bacon. Prepare the Chicken pieces. In a mixing bowl, combine the Mayo and the Parmesan with the salt and pepper. Stir to evenly mix. Add the Chicken pieces and fold to evenly coat each piece. 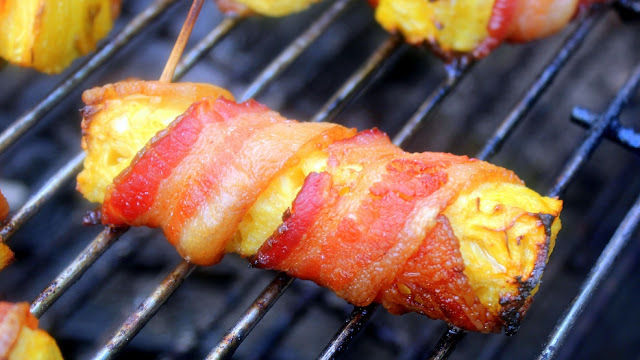 Wrap the bacon slices around the Chicken. Overlap slightly on the bottom and secure the top with a toothpick. 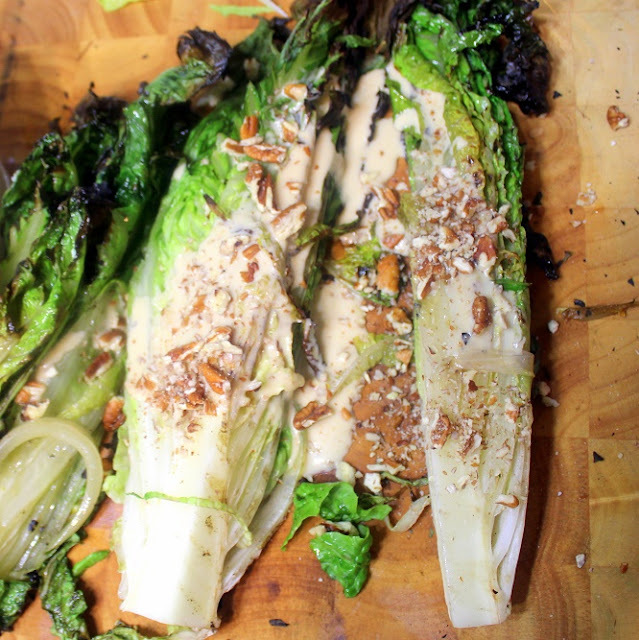 Arrange on the grill or on the baking sheet. If grilling, be careful to not have any directly over the coals. Remember, indirect heating only. Open all vents fully for high heat, close the lid. Bake or grill for 20 minutes. Check desired doneness of the bacon (crispy but not over cooked). The spears are cooked through when the bacon is fully cooked. Remove from grill (or oven). Remove toothpick, set a piece of pineapple and spear both with a new toothpick (Get pretty presentation toothpicks for a fancy party or catering gig). 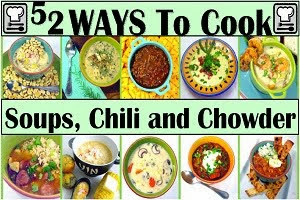 Serve warm or room temperature and .... ENJOY! 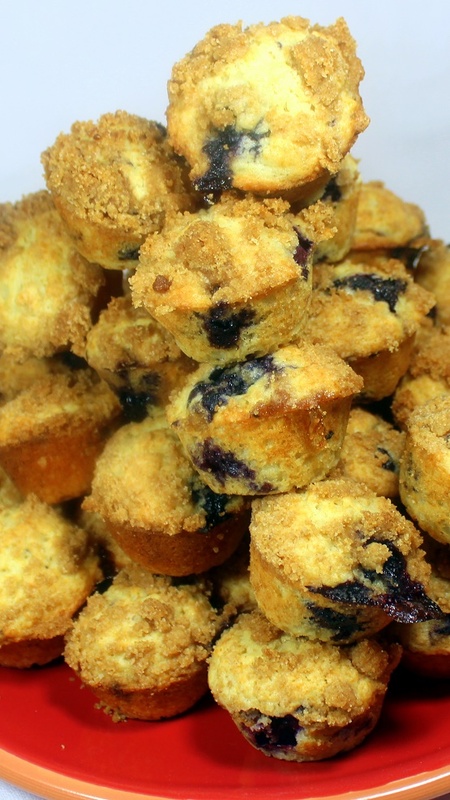 Who doesn't LOVE Blueberry Muffin??? 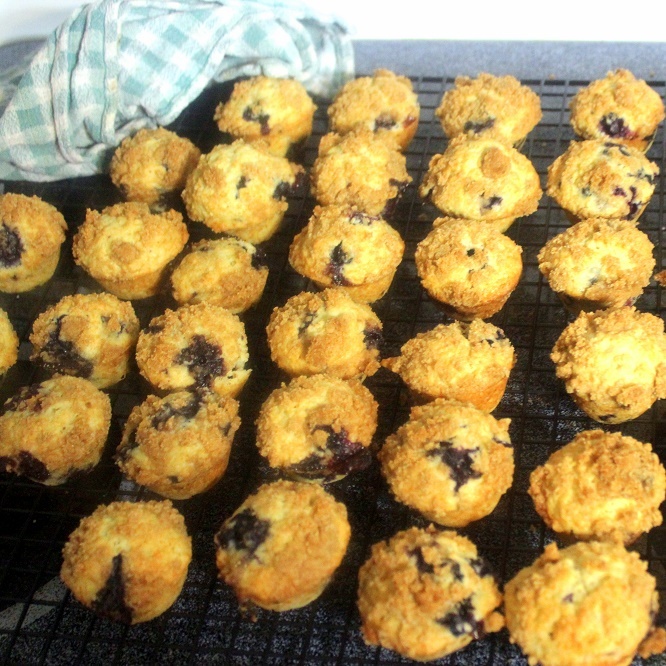 When done right, the blueberries pop open just as they are done baking releasing the sweet flavored juices into the tiny cakes creating a moist tender flavor filled bite of deliciousness! Just a bit of sour cream adds some moisture to the muffins. Moist, tender, never dry goodness. 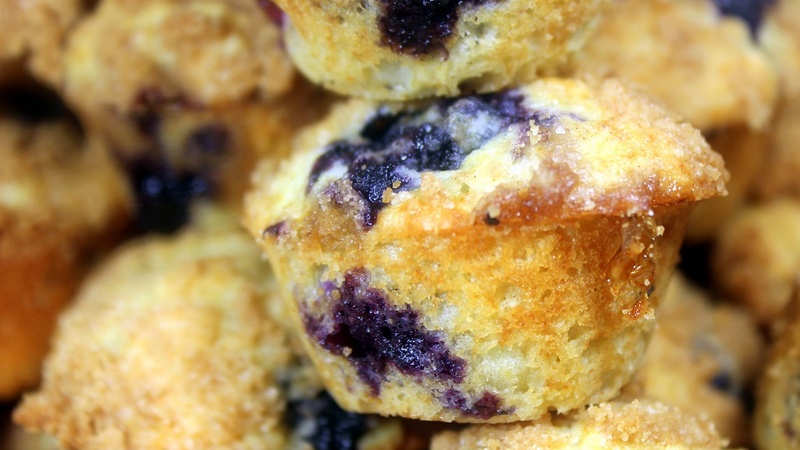 The blueberries are soaked in lemon juice and sugar to add extra flavor and juiciness that are timed to release that extra flavor into the muffin at just the right time. Add a little lemon zest for extra lemony goodness and these are just about as good as they get! 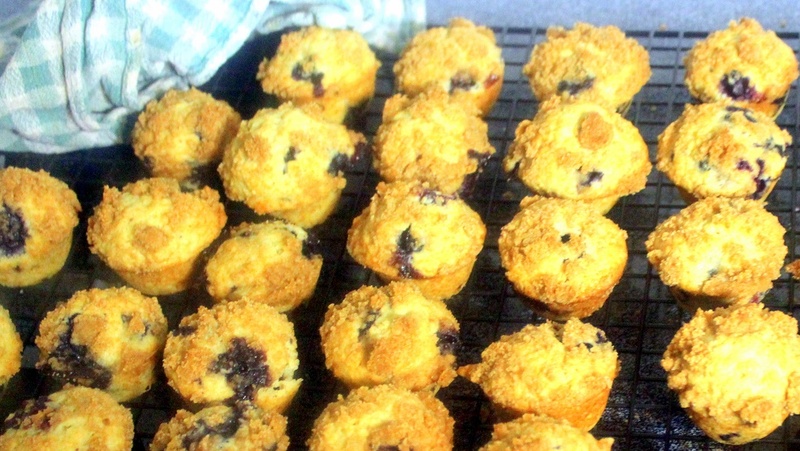 Don't you just love Blueberry Muffins? This recipe will make 48 mini muffins. Perfect number to give a few away, take to a group or meeting and still have one or two left to start your day! Mix the juice and zest of the lemons, add the blueberries and stir to evenly coat each berry. Allow to rest for 10 minutes, stirring once or twice. Add the eggs one at a time and continue to mix until light and fluffy. 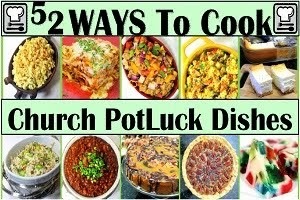 In a separate bowl, whisk together the dry ingredients, Flour, Baking Powder, Salt. Back to the stand mixer, add the Milk, Sour Cream and Vanilla and cream for 1 minute. Add the wet ingredients to the dry and fold to mix. Add the prepared Blueberries and stir to evenly mix. Fold gently to mix, do not over mix, do not break the berries. In a prepared mini muffin baking sheet (non-stick spray is a must, the Blueberries will caramelize and stick), Spoon the batter into the pan, filling each cup to the level of the rims. Mix the sugars and the cinnamon together. Add the cut butter and rub together with your fingers until the mix becomes crumbles like the grains of sand on a beach. Sprinkle a bit of the topping onto each of the muffins. Bake for 20 minutes until the tops just start to crisp and the berries burst open. Allow to rest for 5 minutes in the pan then transfer to a cooling rack. Serve warm with a COLD Glass of milk or room temperature with a HOT cup of coffee and ENJOY! I love the dance and math of getting all the courses correct temperature all at once, served hot dishes hot and cold dishes cold. This is a salad that tastes fantastic, adds a course that allows you to get all the main dishes and their sides ready to serve while your guests chow down on the salad. An extra part of my dance of prep is to ask a guests that arrives early to grill the lettuce. 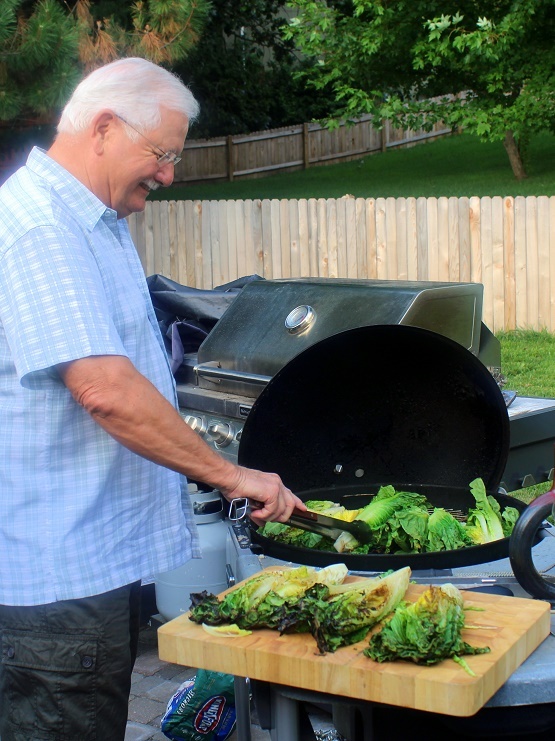 It is so simple that anyone can do this (although my buddy, Paul, shown in the photo is an accomplished griller in his own right). Getting others to help adds to the fun of the party... And frees you up to dance elsewhere. First, a fantastic look. The extra char on the edges certainly gets your meal off to a fantastic start! People know they are in for something fun with this presentation. The actual heating of the lettuce changes the taste. Adds a caramelized sweet taste. Add all of the listed ingredients to a blender and puree until smooth. Chill until ready to use. Pre-heat oven to Broil setting. 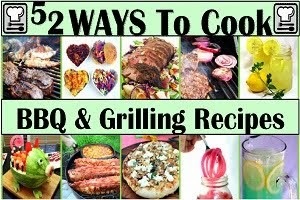 OR, prepare a gas grill, medium heat or a charcoal grill with direct heat. Best to use coals that have been hot for about an hour. This needs to be watched as there will be flair ups..
Drizzle a bit of olive oil into the open cut side of the lettuce. Grill non-cut side down for 3 minutes until just starting to wilt and get char marks. Flip and Grill cut side down for an additional 3 minutes. Watch carefully as the dripping oil will flair up. 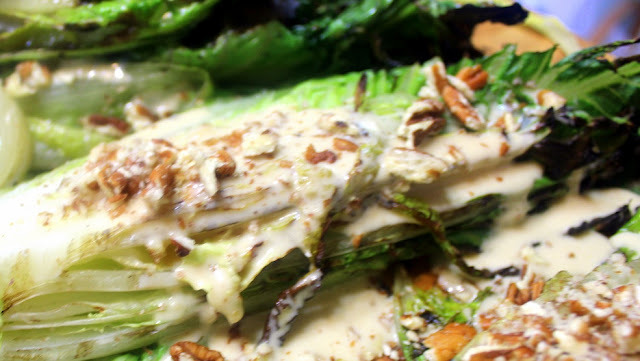 In a standard oven, set the lettuce cut side up on a rimmed baking sheet. 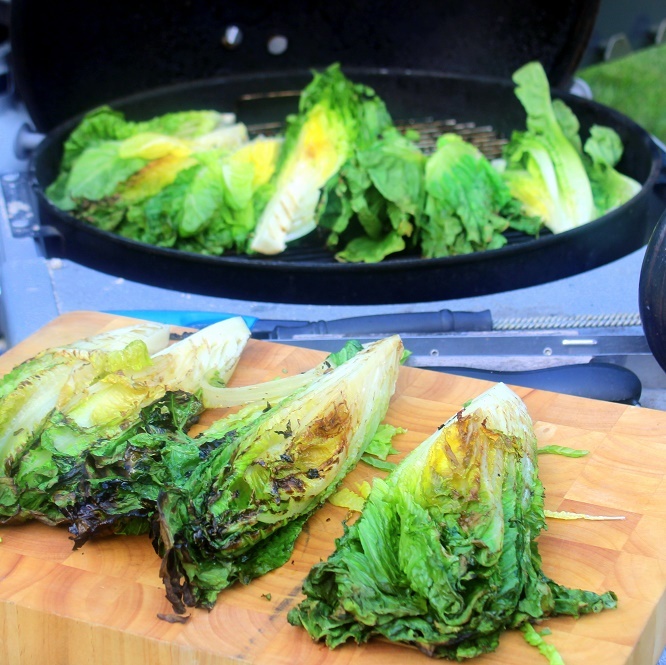 Set the sheet on the lower rack, broil for 3 minutes until the lettuce just starts to char. Flip and broil for only about 2 minutes. 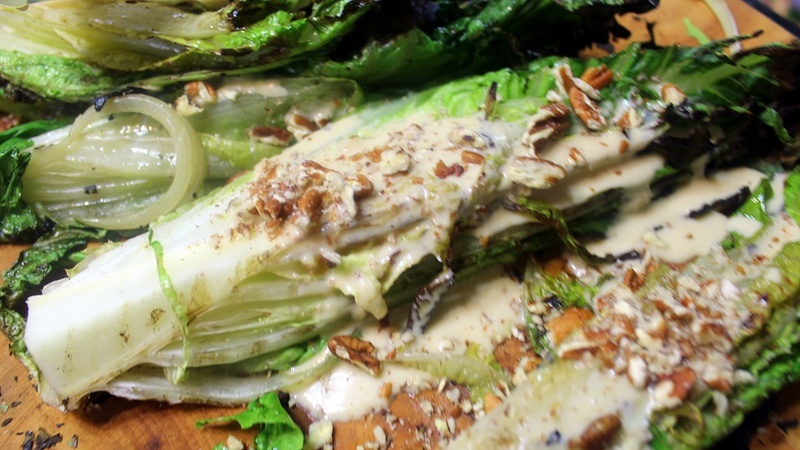 Serve warm with the chilled dressing and ENJOY! Note to self: must cook with more fennel! 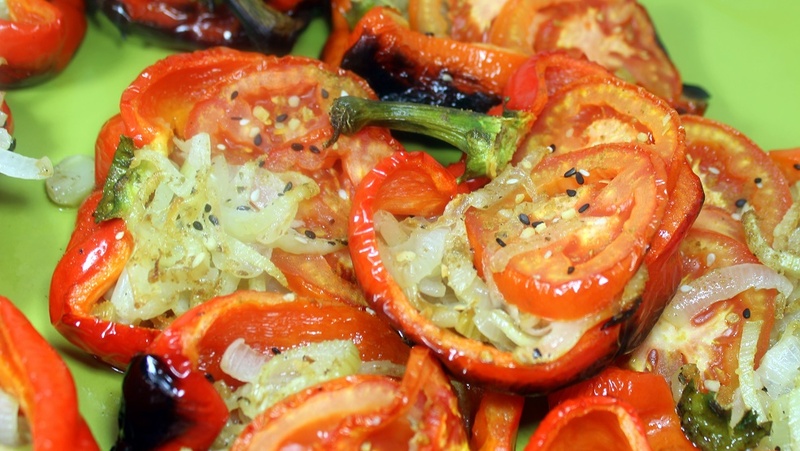 These are a wonderful side dish. Unique flavors (Hey... FENNEL! ), combine with simple seasonings for a beautiful side dish. 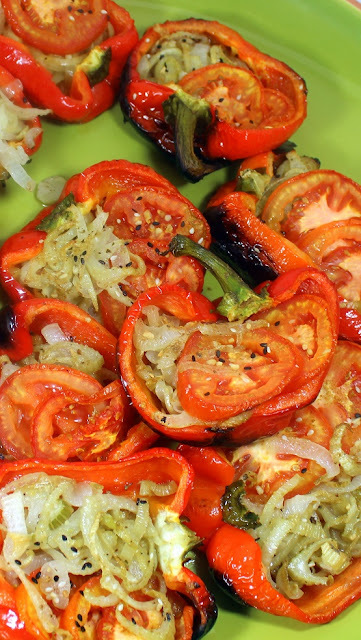 Very easy to prepare (Saute the guts and slice and trim the peppers). 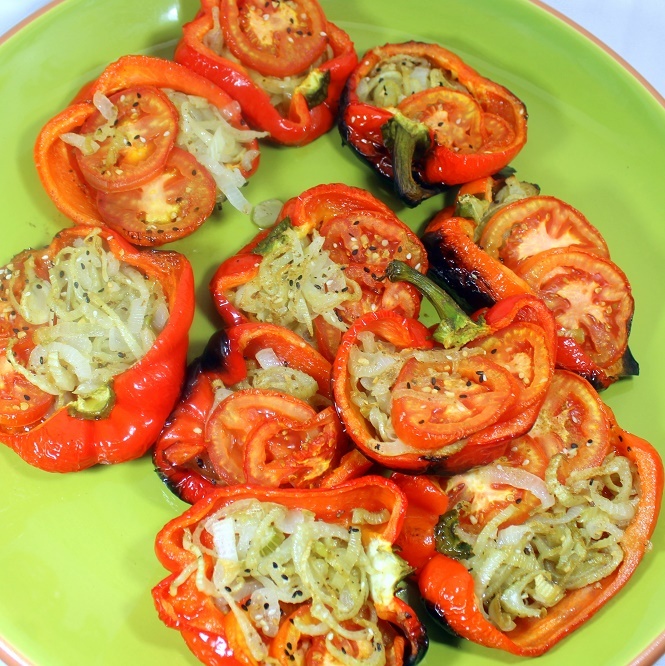 Very easy to make (Heat in an oven or grill until the meat of the pepper has softened). They plate beautifully, wonderful colors. 3 Roma Tomatoes, sliced 1/4 inch thick. Pre-heat oven to 350 degrees. OR, prepare a gas grill, low heat. In a large saute pan over medium high heat, melt the butter. Add the Onion and fennel strips. Saute for about 5 minutes until the onions are soft and translucent. Add the Garlic and saute for an additional minute. Meanwhile, prepare the Peppers... Cut in half, Rub the Olive oil over the outside and arrange on a rimmed cookie sheet. I like to line mine with aluminum foil for easy clean up. Evenly divide the onion fennel mix among the 8 half peppers. Top with the tomato slices. Season with the salt, pepper and sesame seeds. Dust the tomatoes with the cumin. 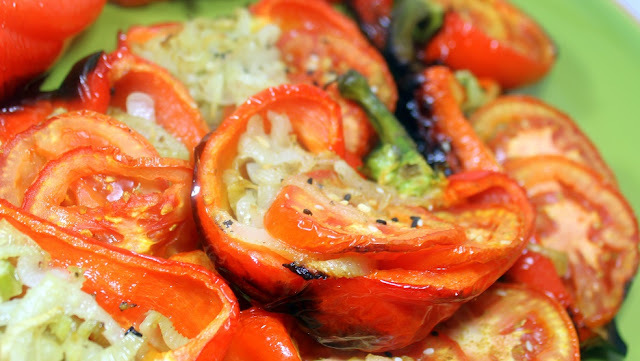 Bake the peppers for 1 hour, until the peppers are soft. Or Grill for about an hour with the lid closed (turning the grill into an oven). Check every 5-10 minutes to make sure the oil does not drip into the grill and flame up, fine line between burnt and caramelized. Plate, just before serving, drizzle a bit of top quality balsamic vinegarfor extra flavor! Here's a fantastic little summer appetizer. And EASY! only 3 ingredients (plus the tortillas). Picante is an Hispanic word meaning spicy. Just a bit deceiving and you control the amount of spice and heat in the wheel. 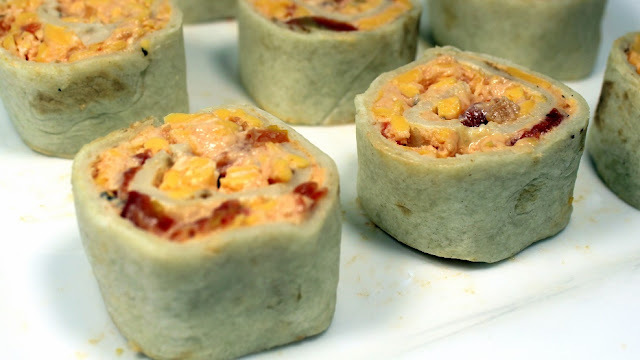 The "Secret" Ingredient in the wheels is a cup of Salsa. If you reach for the mild Salsa, make these mild. If you crave the extra heat of a Hot Salsa... go for it! 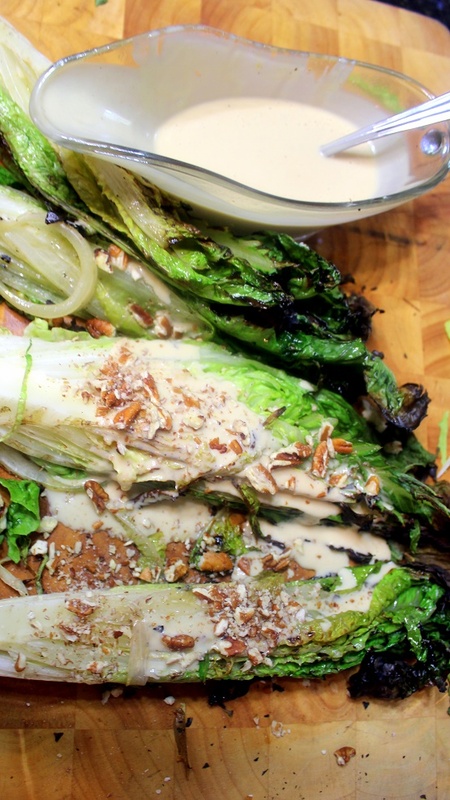 Sweet creamy mayonnaise adds a cooling touch. Perfectly blending of heat and cooling sweet. 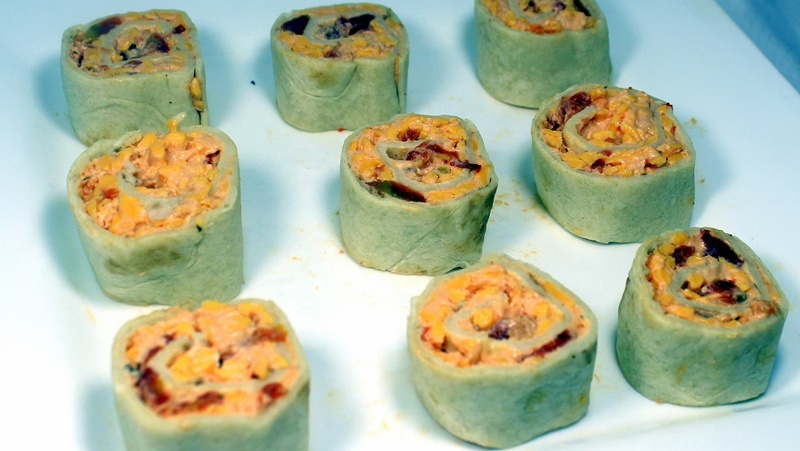 The cheddar adds the Earthy touch rounding out the wheels of flavor. Like I said, a fantastic little summer appetizer! In the bowl of a stand mixer, Add the Mayo, Shredded Cheddar Cheese and the Salsa. Using the paddle attachment, mix until even, creamy and spreadable. I have a new grilling obsession. Possibly the best appetizer...ever! The pineapple comes out warm and far juicier than a fresh slice. The flavor is intensified. The bacon of course adds that Earthy meaty taste. Everything is better with bacon! 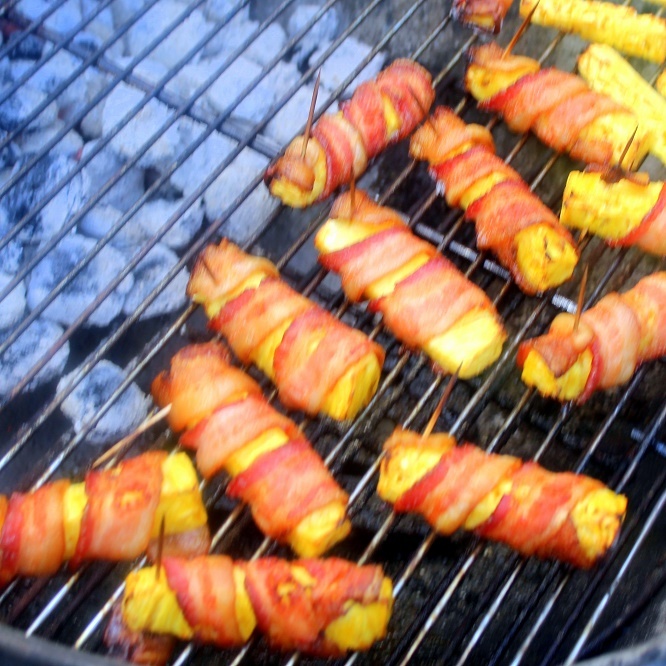 They cook up very easy, simply wrap and heat until the bacon has reached a desired crispiness. When the bacon looks done... they are done! 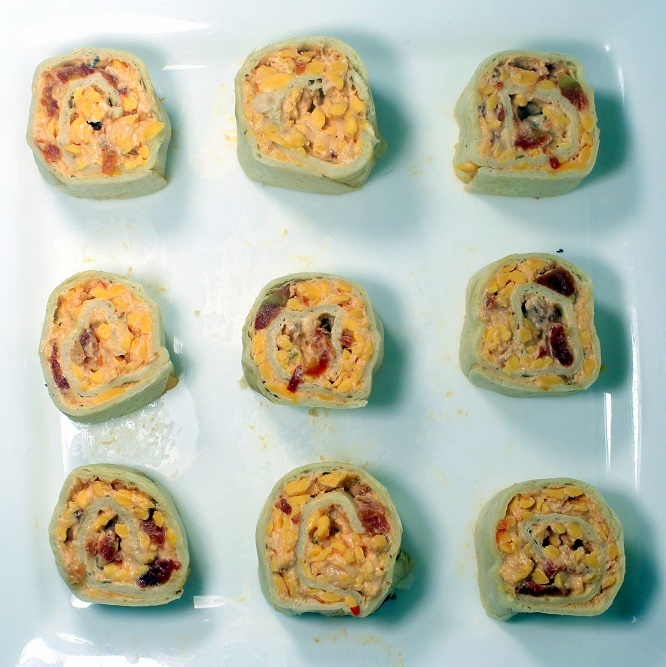 These are wonderful to serve up as appetizers for a back yard party. I recently had a birthday party for a friend. With a dozen guests, I started the meal with these appetizers. Then I simply added a few more coals, spread them out over the already HOT and glowing coals. The existing hot coals started the new colas. In about 5 minutes I had plenty of heat to grill hearts of romaine for the salad... that post will come tomorrow. 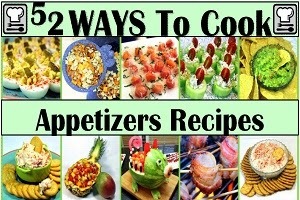 For today... Keep scrolling down for additional tips and the easy to follow recipe for these wonderful party appetizers! This turns your grill into an oven when the lid is closed with hot air circulating around the pineapple spears. This way the bacon drippings do not drip onto the coals, preventing flair ups and burnt bacon. Prepare the pineapple speasr. Cut the top and bottom from a fresh pineapple. Slice into 12 wedges (think pie slices). Cut the hard center piece and discard. 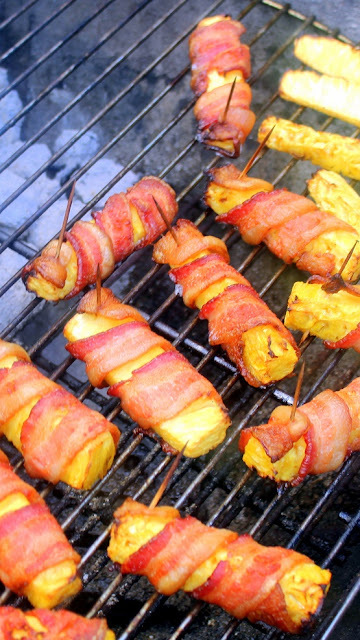 Wrap the bacon slices around the pineapple. Overlap slightly on the bottom and secure the top with a toothpick. Serve warm and .... ENJOY! Labels: 13 Bacon Wrapped, 13 Tailgating HIT Recipes, 52 Appetizers Recipes, 52 Bacon is the Star! Wow... What a beautiful book! 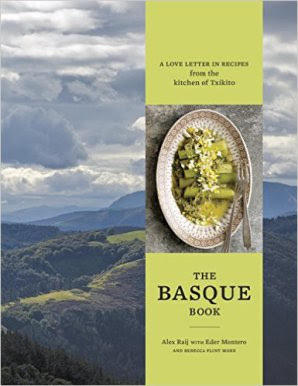 The tag line is that this is a love letter in recipes and sure enough, the almost lyrical writing combined with the stunning rustic photos of the region in Spain that inspired combine for a beautiful work of art. The Basque area of Europe is located mostly in Spain near the border with France. 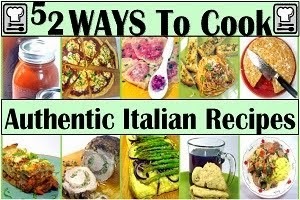 Rustic Mediterranean style cooking, local ingredients served up with a rustic style. Txikito is an upscale New York city restaurant specializing in the cuisine of the area. Primarily small plates that combine for a large meal. But honestly, while many of the menu items are inspired by these recipes, the book is the rustic love of food inspired by the area instead of the restaurant cuisine. The photos transport you to the area in Spain far more than the streets of NYC. I simply adored the book. It reads like a novel with each page bringing you closer to an understanding of the area. 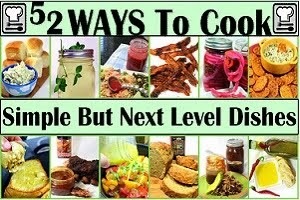 The book is filled with wonderful recipes with difficult to find ingredients. I am a home cook living on the prairie with little access to the ingredients. 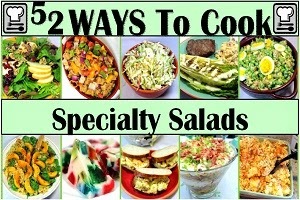 While I do feel inspired by the recipes, I am afraid I am simply not able to recreate any exactly as written.